Just in case you hadn't noticed, issues of pluralism have become quite a big deal within American politics. Whether it's controversies over gay marriage, transgender bathrooms, or the Black Lives Matter movement, differences occasioned by racial, ethnic, moral, and religious diversity (to just name a few of the things that divide us) pose a significant and continuing set of challenges not just to how we live our everyday lives but also to the deep philosophical and moral roots of our liberal political order. How we deal with these issues (or fail to, as the case may be) will go a long way toward defining the character of our common social and political life for years to come. In one sense, this is nothing new. Liberal democratic orders were birthed out of post-Reformation Europe's newfound religious diversity (and violent conflict), and one way of recounting their history is as a long-developing exercise in responding to and accommodating new or wider forms of diversity. Our contemporary agonizing about, say, sexual orientation and gender identity are, on this progressive telling, just mere pockets of illiberal resistance to the march of history. 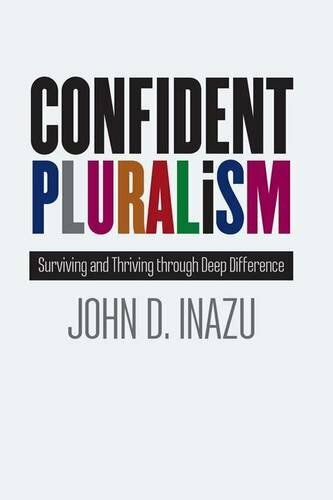 Pluralism is only a problem, really, because some have a problem with pluralism.